Corrosion is the number one enemy of industrial tanks and vessels, and the damage is costly on many levels. Not only does it destroy components of the tank, it also can contaminate the stored product, release the contained materials into the environment, raise safety concerns and increase operating costs. 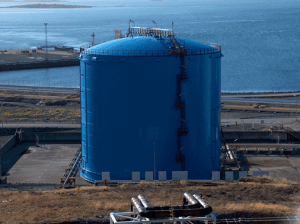 When considering corrosion resistance for the exterior of tanks, fluoroethylene vinyl ether (FEVE) resins—which are formulated into paints, protective coatings and sealants—have proven to provide superior performance to conventional resin chemistries. FEVE resins provide superior durability, color retention, gloss retention and reduced maintenance costs, as well as excellent resistance to corrosion, dirt, UV rays, wind, rain, chemicals and petroleum products. Comprised of alternating segments of fluoroethylene and vinyl ether, FEVE resins are synthesized with reactive hydroxyl groups and can be cross-linked with standard aliphatic isocyanates to make fluorourethane coatings that offer extreme strength. In addition, coatings formulated with FEVE resins offer more application options. FEVE-based exterior coatings can be applied at room temperature, which preserves the integrity of any interior tank lining. FEVE resins do not require heating. They can be applied in the field as well as the factory. This means they can be used for new construction as well as for field coating replacement and repair. FEVE resins are transparent and can be used in both clear and pigmented coatings. 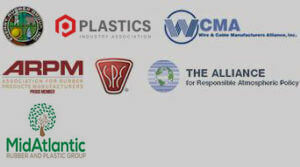 They provide outstanding adhesion to primers, fiberglass, plastics, composites and metals including aluminum and steel. Solvent based FEVE resins are commonly used for industrial tank coatings. Water-based polymers and solid flake resins which allow the formulation of coatings with no or low volatile organic compounds (VOC) and no hazardous air pollutants (HAPS). Standard polyurethane-based coatings are less expensive than FEVE-based coatings on initial purchase; however, the value is lost over the life of the tank because these formulations do not provide long-term protection. LUMIFLON® FEVE resin-based coatings can be formulated to last for 30 to 60 years. The expected maintenance of a standard polyurethane topcoat in this time frame is two to three repainting cycles. And the appearance of polyurethane coatings will begin to change after only a few years, with extensive chalking, fading, and loss of gloss over time. Because of their long life, FEVE resin-based fluoropolymer coating systems reduce lifecycle coating costs, improve utilization of the tank and eliminate the need for multiple painting cycles. The high cost of repainting includes tank downtime, and painting crew labor and staging costs—which are much higher offshore than onshore. The return on investment from reduced maintenance, limited recoating and extended vessel life typically offsets any upfront cost to defend against corrosion. Click here for more information about LUMIFLON® FEVE Resins.